Edinburgh is a truly unique city. From amazing architecture, landmarks, museum, historic places to pubs, clubs and entertainment, the city has it all. Each year, thousands of people come to the city to marvel at its beauty, landmarks and dive into the richness of history behind it. However, what very few know is that there is also a darker, more sinister side to Edinburgh, one that manifests itself through the ghosts of former residents. 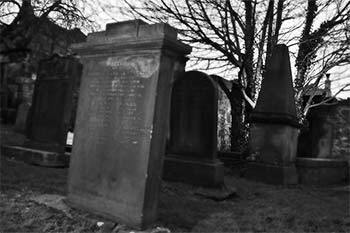 Below is a list of few haunted places and ghosts of Edinburgh you might actually encounter. Dalry is an area of Edinburgh near the famous Haymarket. One of the buildings on Orwell Place known as the Dalry House is believed to be haunted by one of the most famous Edinburgh ghost: the Johnny One Arm. The story goes that Johnny One Arm’s real name was John Chiesly, an Edinburgh citizen some time in the 17th century. According to the legend he was ordered to pay a substantial annual alimony to his ex-wife after their divorce. However, being angered by the decision and unwilling to pay the money, one day he set off and murdered the magistrate who gave the order. He was soon captured, tortured and his right arm was cut off. He was hanged and his body was left on the gallows as a warning. However, the body disappeared. Many believed that it was taken by his friends for burial, although shortly after a reports of a one armed ghost begun to emerge. In 1965 a 300 years old skeleton with only one arm was found beneath the Dalry House. It seems that many ghosts of Edinburgh are deemed for their fate for the evil acts they did. It is no different in a case of the next ghost I want to tell you about, Lady Christian. She was a lover of a notable citizen, James Forrester. He used to live in a Corstorphine Castle in the suburbs of Edinburgh. The legend says that one night he showed up drunk to a meeting with his lover. The two got into a row and in anger, Lady Christian had killed James on the spot. She was captured and executed for the crime. Yet her ghost still haunts the place where she committed the crime – a spot beside the Corstorphine Dovecote. Those who had seen her reported that she wears a pure white and still wields a blood dripping sword in her hand. A Death Coach is a horse driven carriage traveling around the city collecting souls of the departed. Edinburgh has its very own Death Coach, usually traveling around the Royal Mile in the Old Town. It is described by those who had seen it as a glowing, ghostly carriage drawn by black horses. Sightings of the Death Coach on Royal Mile are believed to signal an imminent disaster in the city. The George Street in the new town is haunted by a ghost of a woman dressed in the 19th century clothing. She is known to speak out her name, hence her nickname. According to legends, Jane is a ghost of a lady called Jane Vernelt who suffered a mental illness of some sort after being persuaded to sell a shop she ran on Goerge Street. Has her condition grew worse she was finally institutionalized and died shortly afterwards. Since then her ghost has been haunting the George Street. Liberton House ghost is one of the few ghosts of Edinburgh that were actually photographed. The house is haunted by a girl of whom we don’t know much. One thing is for sure, one of the ways she manifests herself is through causing disturbance in workings of electrical equipment which often malfunctions for no obvious reason. 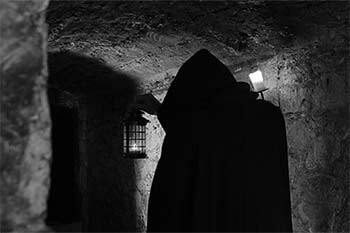 Discover the true ghost stories from Edinburgh’s darkest side and join a “Edinburgh Ghost Tour”, you can do this both day and night! For more info on Ghost Tours and to book visit this page, if you dare! 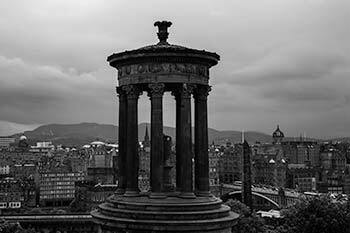 Fascinating ghost stories around Edinburgh! I was expecting to see the morn relating to the Covenanters prison and Edinburgh castle but I’m pleasantly surprised! Thanks for posting this stories would be good to see more or even a few pictures to go along with their locations. Ps found your blog on Twitter.